Walker Brothers brake pads are designed specifically for our carbon rims and offer a balance of power and modulation in both dry and wet weather conditions. 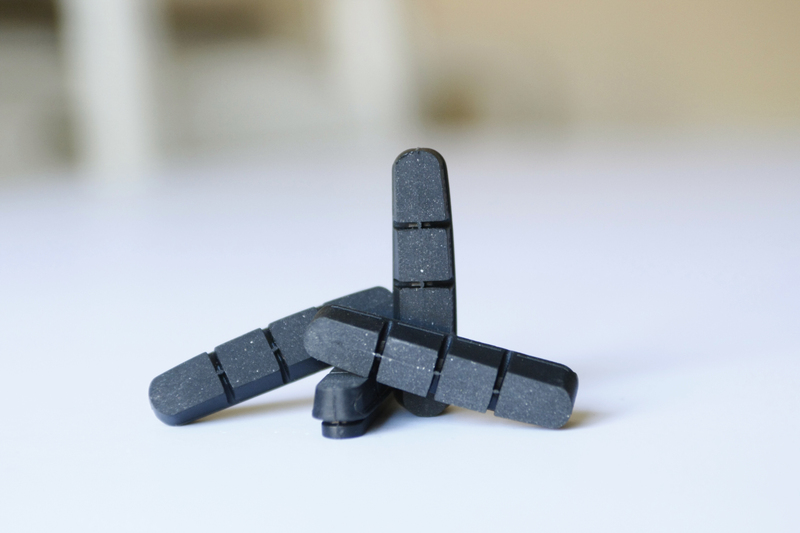 The pad compound has been manufactured and tested to mate with the specific carbon layup of our rims. The channels allow for displacement of heat, water and road grit under periods of prolonged braking to help protect the braking surface of your rims. We recommend flushing these channels our with soapy water periodically when you clean your bike as well as regular inspection of the surface of the pad to remove embedded flints which can cause excessive wear to your rims if left there. The pads are only for Shimano fit brake shoes. Post and packing is included in the price.